An all-round guide to psychotherapy for childhood obesity, written by leading experts, giving the most up-to-date, evidence-based information on the diagnosis, assessment, and treatment of this complex and common problem. One in every six children, and more in some ethnic groups, are obese, which can lead to serious health problems in adulthood. Successful treatment of young patients is complex, requiring time-intensive, evidence-based care delivered by a multidisciplinary team. Help is at hand with this well written, compact book by leading experts, which gives health professionals a clear overview of the current scientific knowledge on childhood obesity, from causality models and diagnosis to prevention and treatment. In particular, the authors outline a family-based treatment method which is best supported by the evidence and meets the recommendations of the American Academy of Pediatrics and other organizations. The appendix provides the clinician with hands-on tools: a session plan, a pretreatment assessment form, self-monitoring forms, and a meal planning and physical activity worksheet. This book is essential reading for anyone who works with children and their families, equipping them to guide patients to appropriate and effective treatment. "With increasing rates of pediatric obesity and growing concern about its impact on the health of children, this book is an invaluable resource for professionals. This book should find a place on the bookshelf of all pediatric practitioners. This compact volume provides up-to-date information on the causes, consequences, assessment, and treatment of pediatric obesity, and an in-depth look at family-based treatment, an evidence-based approach to its management." "This book is must reading for health professionals who treat childhood obesity. 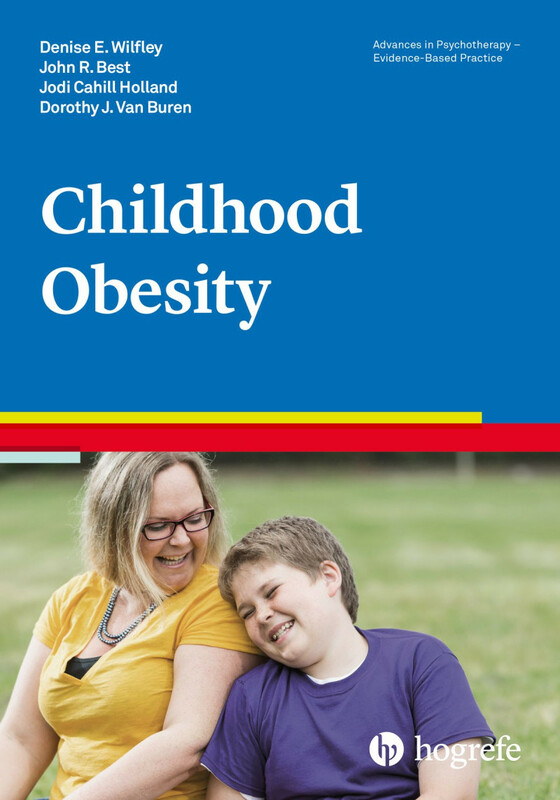 In a concise and easy-to-read style, it provides an authoritative summary of scientific knowledge regarding the etiology, scope, and significance of childhood obesity. Moreover, it describes evidence-based procedures for diagnosis and treatment and provides a valuable compendium of tools to assist in clinical assessment and intervention. This remarkably useful book will be a great asset to clinicians, students, and anyone interested in the problem of childhood obesity. "This book is an excellent resource for pediatricians interested in preventing, managing, and treating childhood obesity. While easy to read, it is also thorough and complete in addressing everything clinicians need to know about childhood obesity. Topics covered range from the diverse causes of obesity, including rare genetic abnormalities, to a variety of proven methods for how to manage it, including family-based approaches, medications, and surgical interventions. This book will help all medical providers appreciate that childhood obesity is both a medical and social problem that needs critical attention and provides the tools and information that they need to deal with it." "This brief volume is a gem! It is a comprehensive, up-to-date review of a major public health problem that provides a tremendous knowledge base about obesity in children for professionals new to the field and an extensive update for experienced clinicians and researchers. It covers the definition and measurement of obesity in children, with a thorough description of epidemiological, environmental, psychosocial, and genetic factors. Further, all aspects of treatment of childhood obesity – family-based lifestyle interventions, pharmacotherapy, and bariatric surgery – are thoroughly summarized."